Well, let it never be said that I make tons of progress every week: stuff related to my new job ate up time on Tuesday and Wednesday, Friday was dedicated to a wild three-city search for Amiibos, and a close family member announced out of nowhere on Saturday that she’ll be getting married later this year. But truth be told, mostly I just wanted to unwind and take a week off after all the recent stress of the near-disaster and weighty financial decisions, so that’s exactly what I did. No more waking up twice and going back to sleep before waking up for real, but actually sleeping well again. Not to leave you all empty-handed, though! Go go Celty sprites! That third one is her jumping down, e.g. jumping down a cliff or off a tree. Celty has sprite variations for wearing her sneakers or not because of an early optional tutorial about the outfit system and flashback purposes, but I don’t know yet if I’ll work that into the game as an on-the-fly visible outfit change. None of the other characters have such a minor variation, so if I do put in then it’ll just be for her—which would still be fine since she has the most screen time. 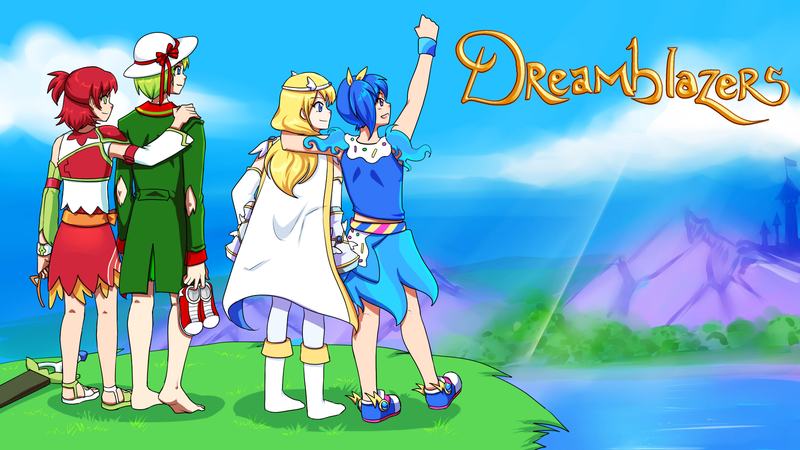 This entry was posted in Devlogs, Dreamblazers on June 1, 2015 by JellyPaladin.